For Samsung, ‘safety first’ is more than just a slogan; it’s a commitment that drives the company to create innovations that not only streamline daily life, but have the potential to save lives as well. 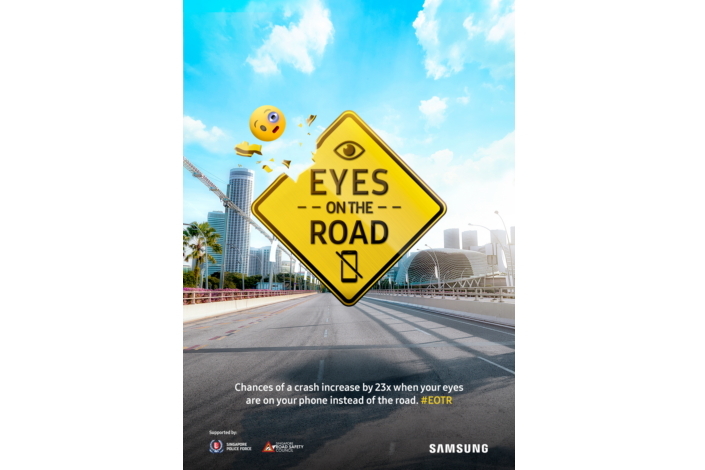 It’s for this reason that Samsung continues to devote considerable effort to initiatives that promote road safety. The technologies outlined below were designed to raise awareness of the dangers of distracted driving, and offer intuitive means for drivers and cyclists to manage their mobile devices while keeping their eyes on the road. 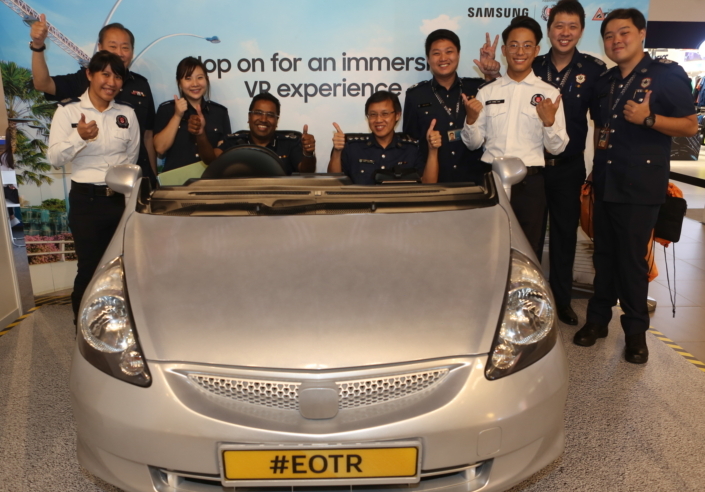 June is Singapore Road Safety Month, and to help encourage proper road safety habits, Samsung Electronics Singapore, the initiative’s official technology partner, developed immersive VR content that illustrates the critical importance of staying focused when behind the wheel. The Eyes on the Road VR experience presents an array of potentially hazardous situations that commuters may place themselves in when distracted by mobile devices. In one such scenario, for example, users take the point of view of a driver who, distracted by his mobile phone, nearly gets into an accident at a pedestrian crossing. The realistic scenarios are brought to life with Samsung’s Gear VR, and encourage users to be more careful when on the road by allowing them to experience the dangers of such distractions firsthand. Eyes on the Road is currently available to download for free in the Oculus Store. 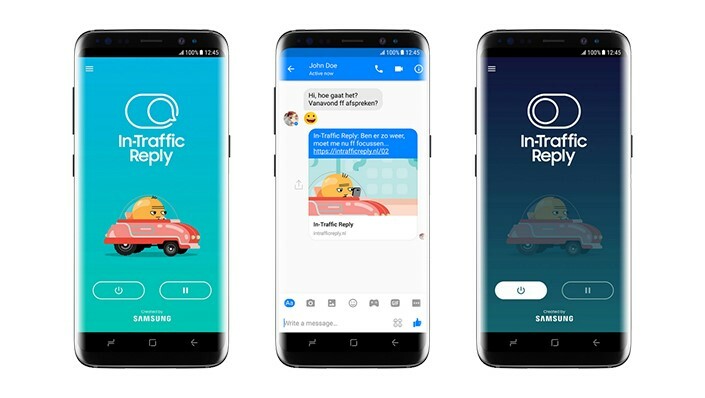 Developed as part of an effort to curb road accidents in the Netherlands, Samsung’s In-Traffic Reply app allows commuters to send automated responses to calls and messages while keeping their hands firmly on the wheel. The app activates as soon as it detects that the user is driving or riding their bike, and allows users to automatically send a standard reply (“I’m driving, so I cannot answer at the moment”), a fun, animated response, or their own personal message whenever they’re on the road. In-Traffic Reply is currently available to download via the Google Play Store. It’s always smart to wear a helmet when commuting. 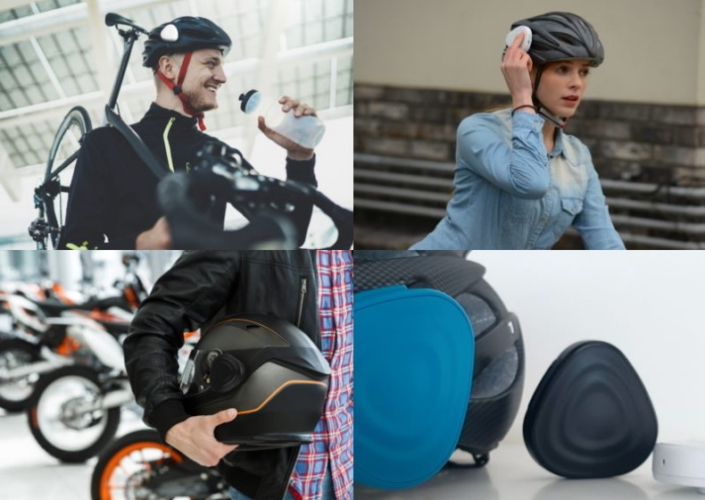 Especially a helmet that’s not only capable of keeping you safe, but keeps you connected to your smartphone, too. A product of C-Lab, Samsung’s in-house startup incubation program, Ahead is a small, triangular device that snaps instantly onto any helmet. When paired with a smartphone, Ahead allows users to seamlessly make and take calls, listen to music, track their fitness data and interact with their phone’s voice assistant, all while keeping their ears open and hands free. In addition, the device’s lightweight design and water resistance make it ideal for navigating bustling city streets. Those interested in purchasing Ahead may do so via the device’s Kickstarter page. Samsung’s technologies reflect an ongoing commitment to innovating in the field of transportation. By making it easier for drivers to stay focused and connected when on the road, Samsung is adding new convenience to the driving experience and making streets safer.